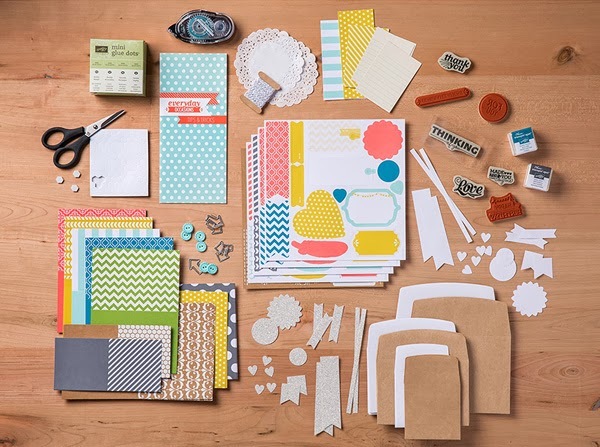 Whether you're a seasoned card maker, scrapbooker, or a total newbie to paper crafting, this kit is awesome. 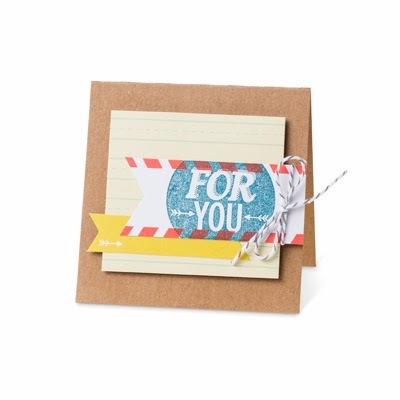 Not only do you get all the supplies to make 20 fantastic hand made cards for about $2.25 a piece, but you can use the included stamp set over and over again! 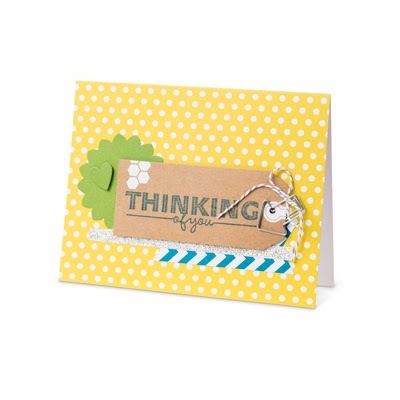 Perfect as a gift for someone who is brand new to card making, someone experienced who wants to have some quick to make cards on hand, or someone who wants to bring a small box of craftiness with them on a trip, the kit is available with just the cards or bundled with a Snail Adhesive, Mini Glue Dots and Paper Snips for a complete craft room in a box! The bundle includes everything you see below, plus the great storage/gift box. The kit alone costs $36.95 and the bundle costs $65 and can be ordered online HERE, or by placing an order directly through me. 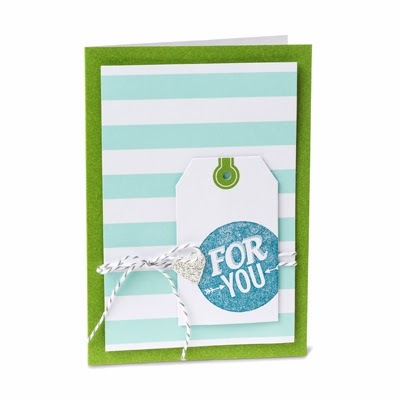 Stop spending more than you have to on store bought cards and start sending cards you can be proud of! 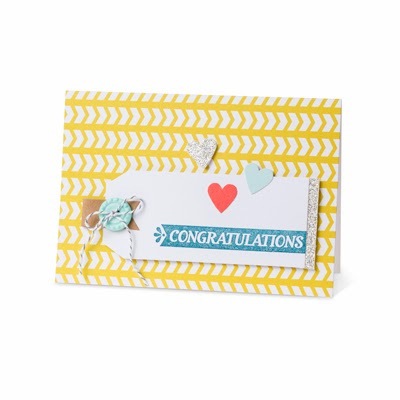 You can either follow the directions included to make the 20 cards below, or get creative and come up with your own ideas! 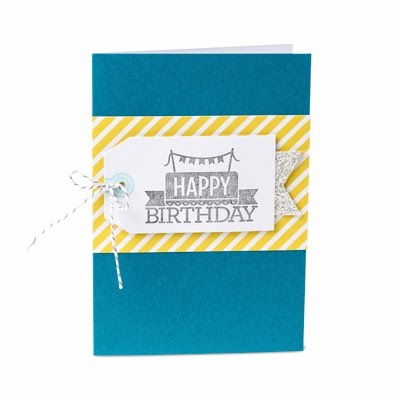 Another on my list of Pinterest inspired cards, this one had no particular recipient in mind. My mom often gets me to make cards for her friends' birthdays, and this is one that I had intended for that pile. 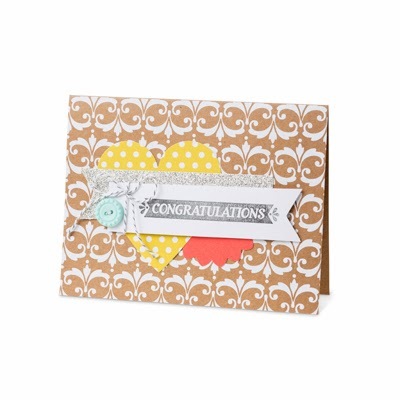 I used markers, some retired DSP and embellishments and again lots of sponging (I think I'm in a sponging phase) to make this card come together quick and easy. A few pearls finish it off and bring it all together. 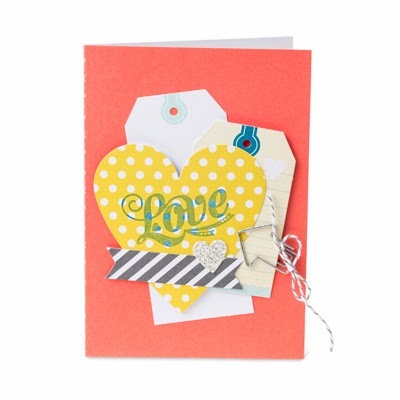 I was falling way behind on cards again, so I set myself up in the craft room and went to town one weekend. 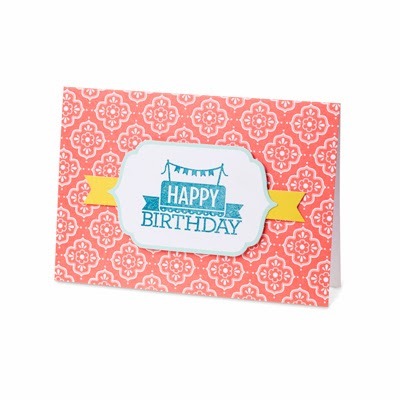 This was a birthday card for a friend, from a card I found on Pinterest ages ago. 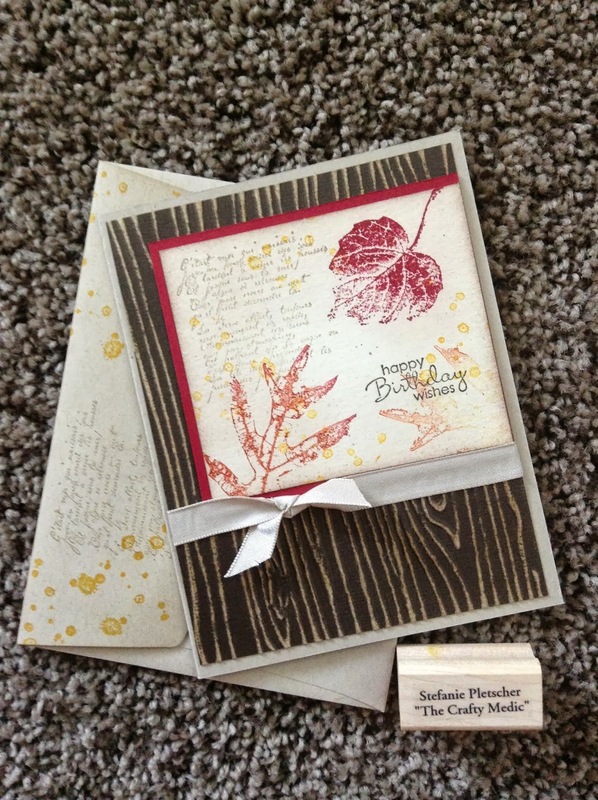 I got the French Foliage stamp set just before it retired, and this is the first time I really used it. 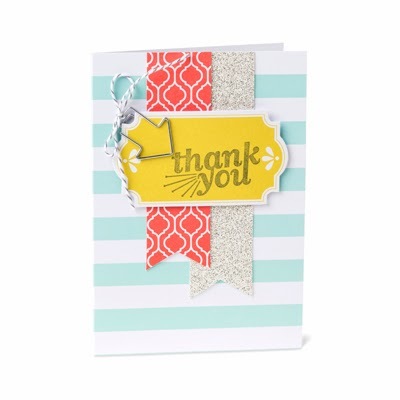 I've loved the Core-dinations card stock since last Christmas when I got the Early Espresso pack and can't get enough of it with the woodgrain embossing folder. 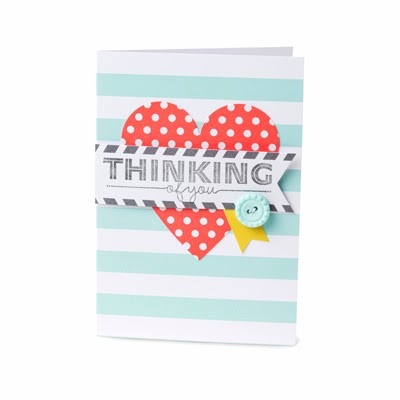 Sometimes it's hard to find inspiration, but I find that by keeping a good catalogue of card ideas on Pinterest boards, I can easily find a good card to CASE and get cracking when I'm short on time and ideas. Check out some of my favorites here. 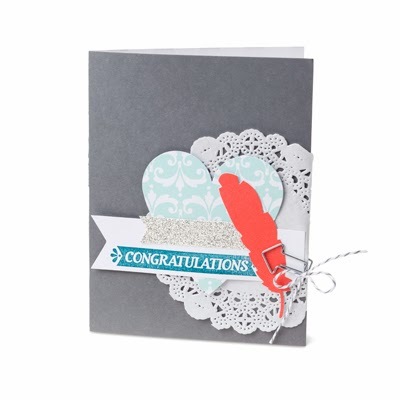 One of my technique club ladies recently celebrated her 25th wedding anniversary, so I knew I had to make her an extra special card. I saw this card by Catherine, tweaked it a bit for the materials I had on hand (and to play up the silver) and this is the result! 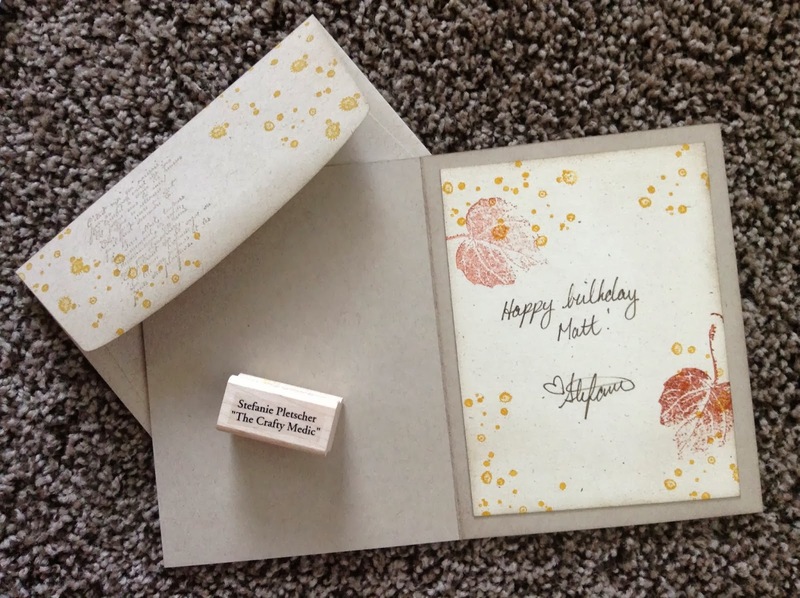 I love working with the silver embossing powder, and my un mounted music note wheel worked so well that I even used it on the envelope. I'm away at work and on holidays for the next few weeks, so this and the next few cards are all older ones that I've scheduled posts about. If you have any questions, I'm still relatively connected, so drop me an email if you want! 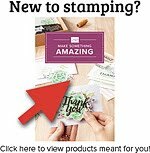 You can also still order Stampin Up products through my online store. 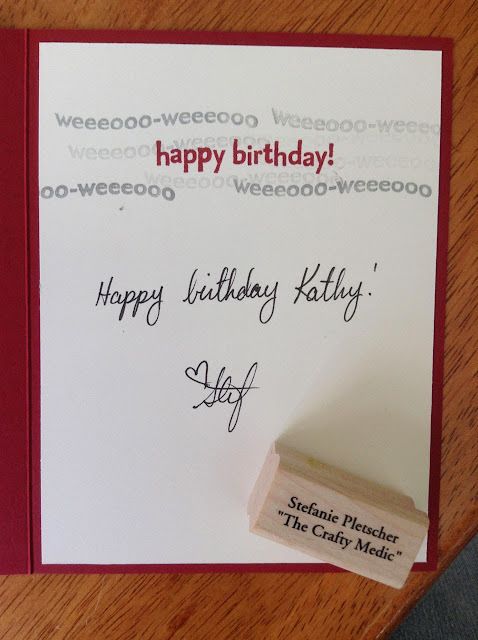 For the next couple of weeks, Stampin' Up! has a fantastic opportunity to become part of something awesome! 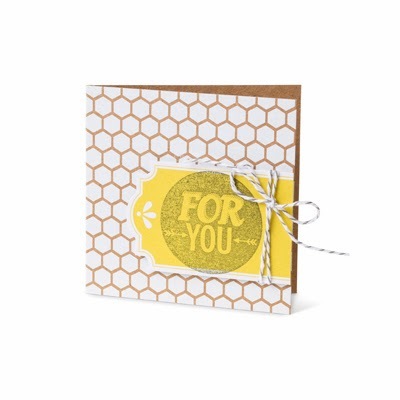 Our team is open for those looking to start their own little business, meet some fantastic crafty people, or just get a discount on awesome products! 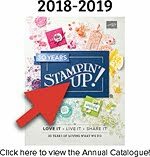 For two weeks only—October 7-21—join the Stampin’ Up! family for just $25! It’s an amazing opportunity to do what you already love doing anyway—and make a little money doing it (that never hurts!). $25+ worth of products, plus business supplies! 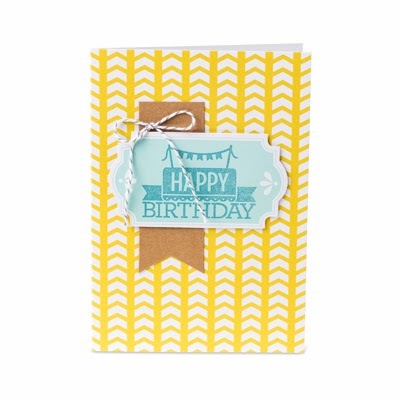 In our 25th year, celebrate with us with the $25 starter kit. 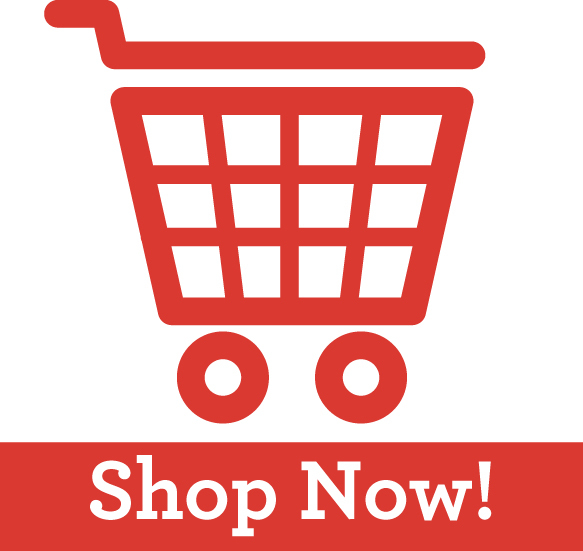 Click here to get started today! *Certain restrictions apply. Contact me for more information or any questions you may have. There's no denying it, summer is over and Christmas is coming fast. One of my favorite activities to do leading up to the holidays is getting together with a group of friends and making cards. Last year's card buffets were a blast, we got so much done and had some good laughs along the way. I have a pile of different card designs, and everyone gets to choose which ones to make. 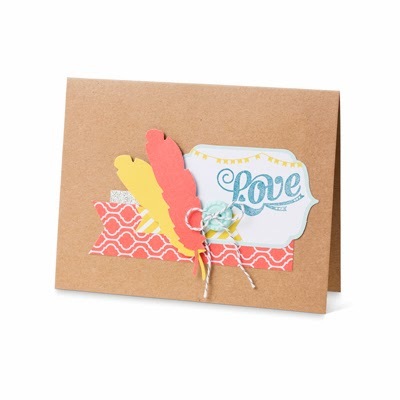 Every card is prepped and ready to assemble, with just some stamping, glitter and all your handmade holiday cards are ready to mail! 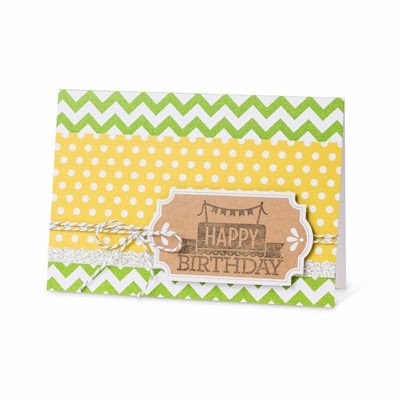 The buffet costs $20 to attend, which includes up to 8 cards, each additional card is $2.50 and all you have to bring is your favorite adhesive. 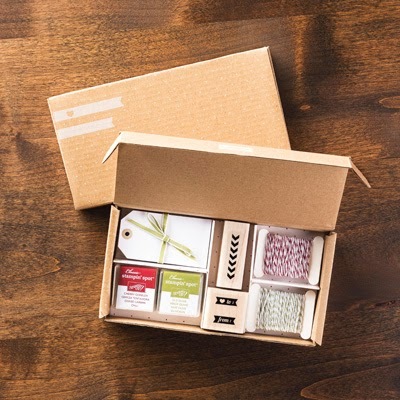 If you'd like to host a buffet, at your home or mine, and at least 4 people attend, you will also get the super awesome Stamp-a-Tag kit as my gift to you! Click on the image below to see more information about it. If you're interested in attending or hosting a buffet (and getting your free kit), or have any questions, shoot me an email! Last month I accepted a transfer at one of my jobs. I moved from the super slow, fairly remote, ambulance station I was working at to a busier, closer to home, one. The folks at my old station had been great to me over the past eight months, but it was time to move on. 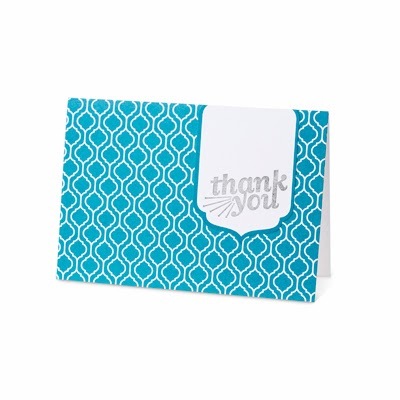 To thank them for everything they'd done for me, I made a card! 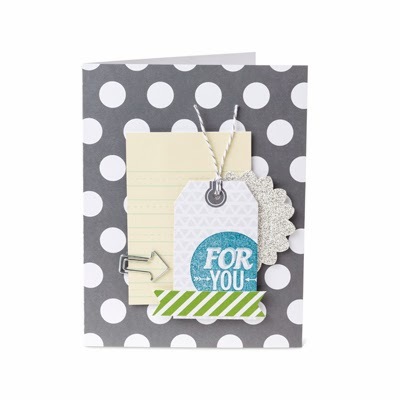 Of course I couldn't turn down an opportunity to use the You're My Hero set, and added a little masking, candy dots, and some DSP I'd over looked (from the I Am Me collection). It's hard to see here, but I also scored some lines on either side of the DSP portion just to give it some flair. I dropped it on my Unit Chief's desk and then I was out of town! Bigger and brighter things await! 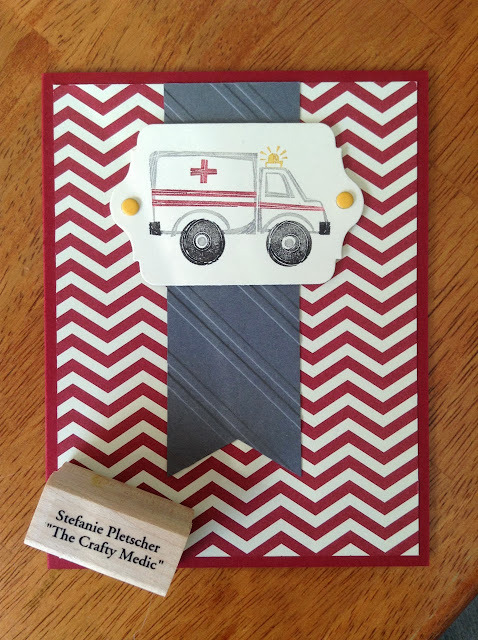 I also had another birthday for a fellow paramedic, so I kept the same supplies out and made a second card! 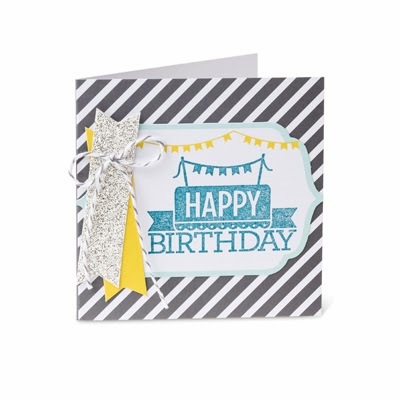 This card happily blends old and new, with some retired DSP from last years Festival of Prints stack, the Stylish Stripes embossing folder from this years holiday catalogue, the fabulous new candy dots, and of course my favorite stamp set.